A couple of events have recently taken me down memory lane to the post Katrina Coast circa late 2005-2006 and the reminder came via Women of the Storm which had a Mississippi Chapter. The membership in the group came from across the socio-economic-ethnic spectrum and their mission included traveling to DC after Hurricane Katrina raising awareness with Congress and the President on the unique issues that impacted this area post Katrina. Later on the ladies from the Louisiana chapter would take a shot at the oil spill and received a few black eyes in the process as the group also became known as Women of the Oil. It seems the Mississippi chapter is far more environmentally friendly. I mention this because the group has popped up here in Mississippi in the DMR scandal news cycle and as today’s latest installment of as the Good ol’ boys at DMR turns by Paul Hampton and Michael Newsom, Nonnie DeBardeleben of Women of the Storm is calling out the broom brigade for a clean sweep of upper management at DMR. Chair of the Mississippi Senate Ports and Marine Resources Committee Brice Wiggins appears to agree that the interim guy, Danny Guice, needs to remain just that, interim. This is not about the worker bee employees at DMR, no siree. It is all about the all the politically connected piggies stinkin’ up the executive ranks. Brooms, many of ’em in fact, are exactly what is needed to remedy the situation. The FBI indeed. God bless this great land. Patricia dear please come take a well deserved bow. There is a country saying about poseurs that is a personal favorite folks and it is time I shared it with everyone. Perret said he and his business partner will consult with their lawyer on the ruling and are tired of commenting on the case. “We do not have high expectations of ever collecting any part of that $425,000. This was never about the money,” he said. 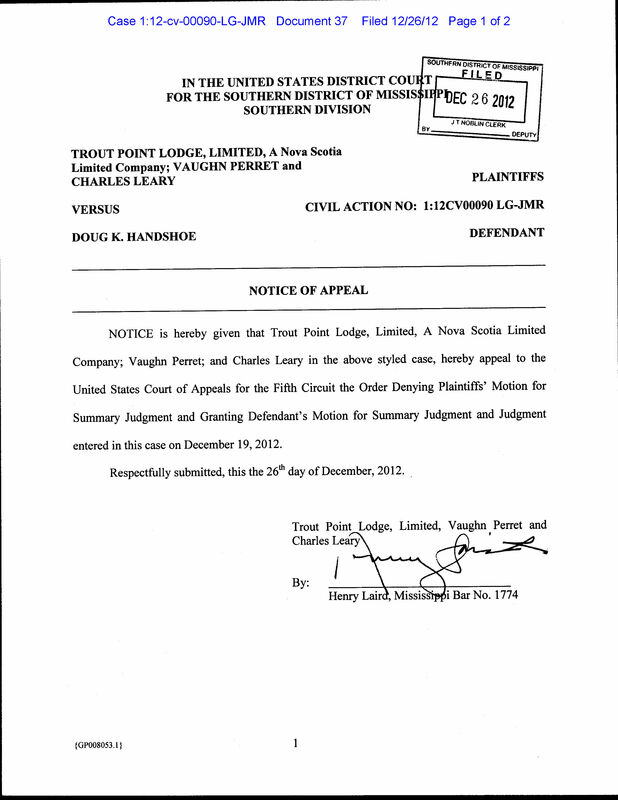 Unfortunately this is pure fantasy as Perret and his hubby Charles Leary tried enrolling the money portion of the specious Nova Scotia judgment against me in Hancock County Circuit Court earlier this year. Later they would ask for relief they did not plead in enforcement of the very broad injunction Nova Scotia Supreme Court Justice Suzanne Hood also issued. 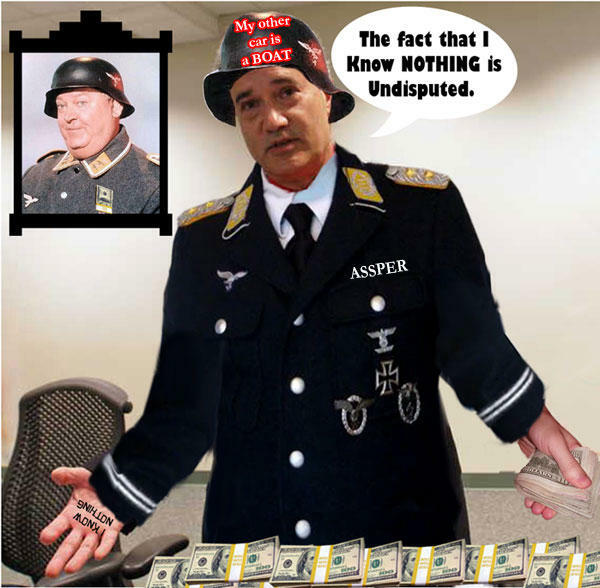 Judge Guirola found both the money judgment and Hood’s injunction repugnant to the constitution of the United States under the SPEECH Act but Perret and Leary are in full tilt damage control mode after Guirola’s decision. I’d submit Perret, a self proclaimed Park Avenue lawyer is fooling only himself, beclowning himself in the process. Why do I mention this? THE HOLIDAYS OFFER US A SECOND CHANCE! Most of us have been swept up in the momentum of the holiday season. We have passed the Christmas milestone and are approaching New Year’s Day, the third in the trilogy of holidays that we celebrate during this time each year — Thanksgiving, Christmas and New Year’s. But too often, our focus is on holiday shopping, football, and social events, and we pass up the opportunity to seize the moment and take advantage of what all three holidays present to all of us. A second chance, and maybe even a new beginning. On Thanksgiving Day, we recognize and celebrate the new beginning of the Pilgrims who made the two-month journey from England to America back in 1620. They too wanted a second chance. They were searching for a better life with the freedom to live and worship in their own way, free from the intolerance they faced under King James I and the Church of England. Their leaders created the Mayflower Compact, which established a new set of laws so that they could be treated equally and fairly as part of their new way of life. A rebirth. A new beginning for all of them. Author Douglas HandshoePosted on December 27, 2012 March 14, 2014 Categories Sop1 Comment on Rut roh! Simple SImon met a pieman…..
Was in his mother’s pail. The number of magpies one sees determines if one will have bad luck or not. Author Douglas HandshoePosted on December 27, 2012 March 14, 2014 Categories SopTags Hubig's Pie2 Comments on Simple SImon met a pieman…..
No siree as Patricia is now on the case. OK folks excuse me while I take a few victory laps for my prediction about Walker having pictures on everyone. Well, I took the lap but I’m not the champ, actually we have co-champs in Michael Newsom, Karen Nelson and Anita Lee at the Sun Herald because today they dare to ask the question, “Exactly how much does it take to co-opt a Mississippi State Legislator?”. The answer is not much beyond taking ’em on a few fishin’ trips on those boats Walker owns via his “nonprofit” or charters that the taxpayers paid for and this is both pathetic and sadly predictable.